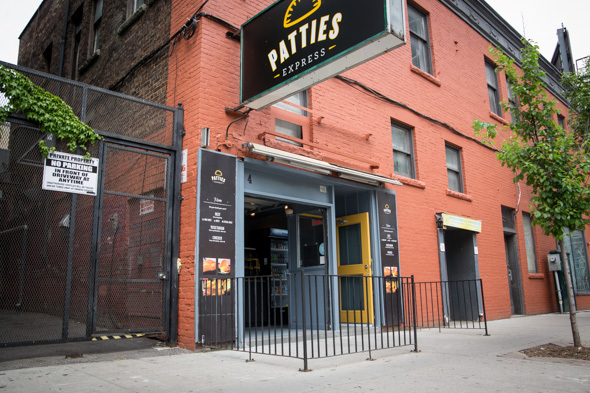 Patties Express is a tiny Jamaican patty takeaway outlet situated on Elm off Yonge in near proximity to the Ryerson campus. 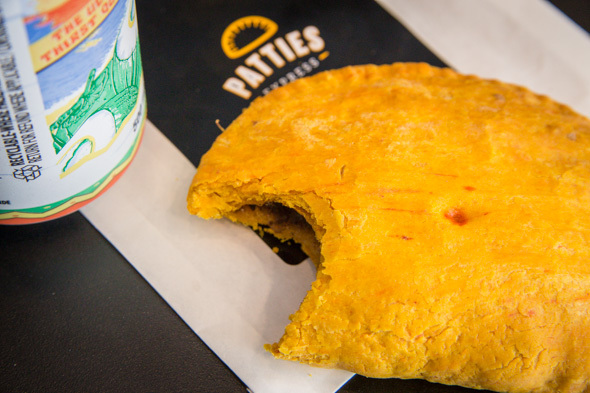 Owner Daniel Cheng learned the trade from his parents' bakery, Tastee on Don Mills , and has opened his own offshoot to bring the same fresh patties and doubles to the heart of downtown. The interior is standing room only, though it's very clean and contemporary compared to most patty vendors. Cooling on baking racks are trays of yellow pastries encasing minced beef, chicken or vegetables. 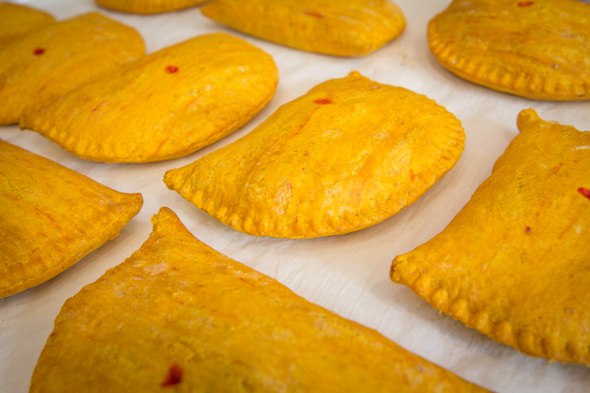 Unlike traditional recipes, their flaky crust is made suet-free, meaning that the vegetable patty is in fact vegetarian. Leave your farm-to-table philosophies at the door, because the veggie option is made up of corn, peas, beans and carrots, all of the frozen variety -- I don't ask (don't want to know) where the meat comes from. Fillings stay true to the genre and are available mild or spicy laced with scotch bonnet peppers. It's the freshness of the shell that makes all the difference, these are far better then any I've ever had from under an orange lamp. Considering a single patty sells for only $1.89, there is no point in finding faults - you'd be hard-pressed to find a cheaper lunch on the Yonge Street strip. Order two at a time with a can of soda for $4.39, or have any patty nestled into a sweet, puffy, house-baked coco bun for $3.39. 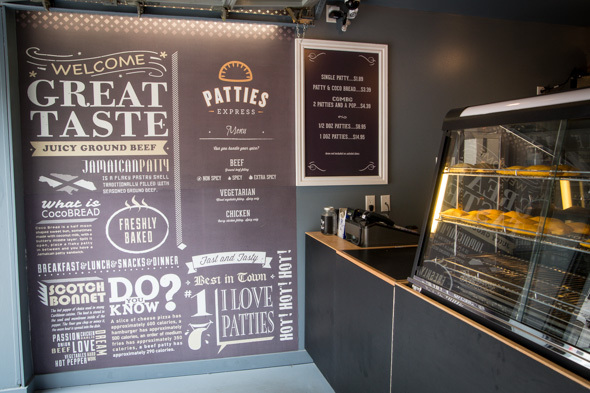 Patties Express is open weekdays from 10:30am to at least 7:30pm, while on weekends the shop opens at 11am.